Google released Messenger in the Nexus 6 days as an alternative to Hangouts for SMS. As Google continues to gut Hangouts and push the SMS-free Allo messaging platform, Messenger has become more important. Now, it's getting a new name. 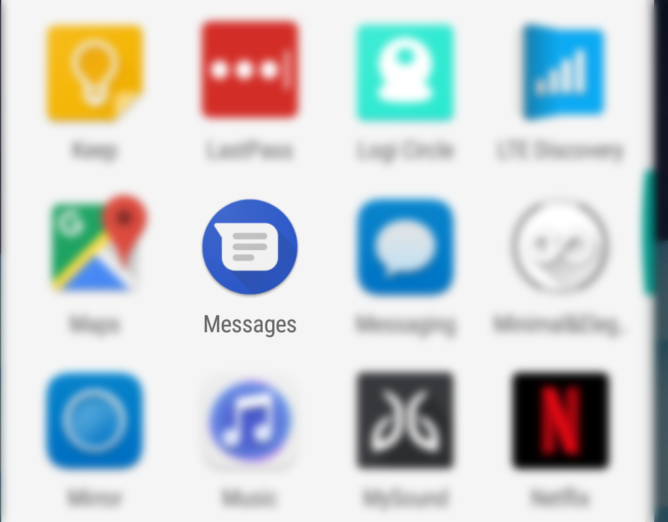 It's no longer Messenger, it's Android Messages. Why? Reasons. Here's the changelog from the latest version. It's not very informative. The new name is the only change of note I've seen, but supposedly the setup process is better now. Google didn't explain the reason, except that it properly emphasizes the fact it's a messaging app for Android. Okay. My personal theory is that Google is trying to avoid being mistaken for Messenger (from Facebook) in the Play Store and in your app drawer. Seeing two blue word bubble icons in your app drawer called "Messenger" is confusing. Now, Google's SMS app shows up as "Messages" in the app drawer.